The TQH 35 gas stoves is a slim tall elegant gas stove. 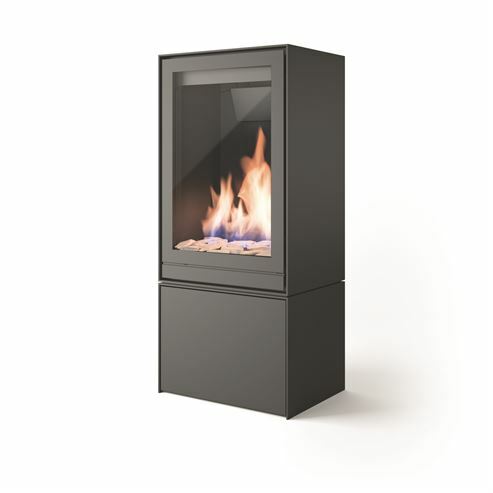 It feature a large flame pattern for best view of the fire, it is easy to use, simple maintenance and optimum performance. 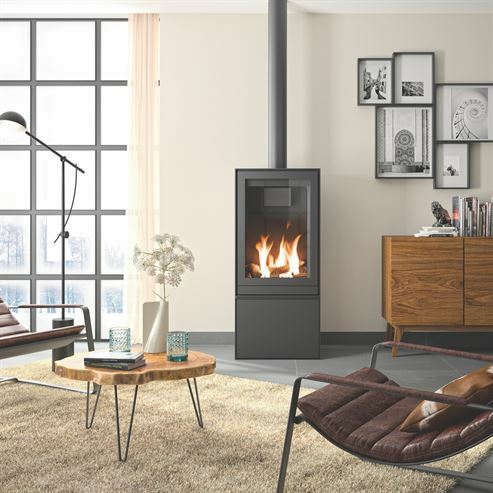 Equipped with a state-of-the-art gas burner, the Nestor Martin gas stoves offer a truly realistic impression of a wood fire combined with high fuel efficiency and the convenience of consistent heat output. Nestor Martin stoves are designed to efficiently burn natural gas and can be adapted to burn propane. They have been tested to meet the strictest standards of performance, safety and emissions for both gas types. Installation is simpler because the TQH 35 gas stoves have a balanced flue which can fit the top or rear of the stove allowing the stove to be installed in more locations around your home.